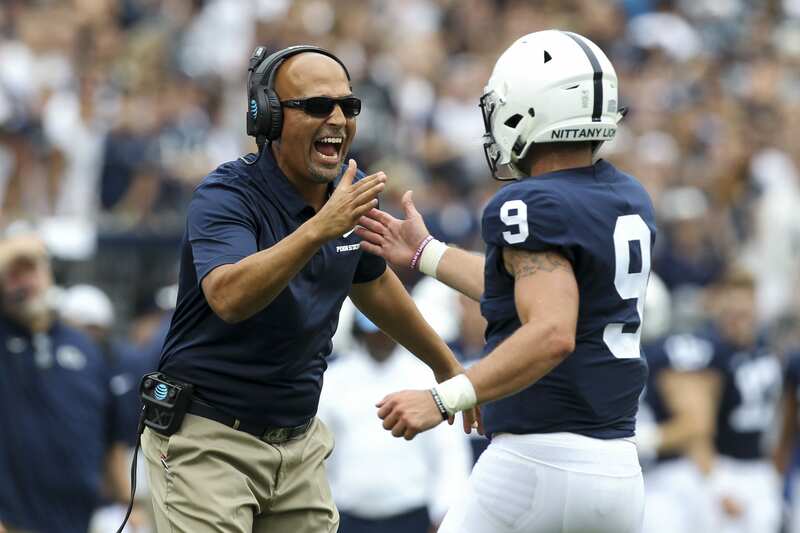 James Franklin is in an interesting position right now as the head coach of the Penn State football team. On one hand, his role in bringing Penn State back to national relevance has brought him many fans in Happy Valley, who have defended the coach even after major collapses against Ohio State in back to back years, and even for the team’s underperformance this year with a roster that should have been good enough to compete for the playoffs. But ask different sections of the fanbase what they think and you might get a different answer. While one comments section might defend Franklin vehemently, another one might call for Franklin to be replaced to help the Nittany Lions reach their true ceiling. While third in the Big Ten with three conference losses at this point in the season may have been a good result in past years, it’s particularly disappointing for a team that many, including ESPN’s Kirk Herbstreit, thought would be in the race for both the Big Ten and the College Football Playoff. But Franklin may have a chance to leave the controversy behind and head out west for a new job, one that would place him in an easier division and conference than the very difficult Big Ten East. The difficulty of that division may be the reason why Franklin doesn’t have a playoff appearance yet at Penn State, and the PAC-12 South is much more winnable. The interested team, of course, may be USC. Located in Los Angeles, they also are in a better position to recruit from California, one of the most important states to draw talent from for blue blood programs. That’s not to say that it would be an immediate improvement. USC hasn’t met expectations during recent years, but they hit a new low this season by falling apart completely. Unless they can upset #3 Notre Dame in their closing game, they won’t even make it to a bowl game. Still, even though it will hurt Penn State fans to hear this, USC is considered by more people to be a larger program and it’s certainly a tempting offer for anyone, especially a coach coming off what will inevitably be a disappointing season. Franklin, though, claims that he isn’t going anywhere. “Obviously [I] have all the plans in the world to be here, and be here for a long time. So I just wanted to address that because it became something that I did not want it to be or intend to be. I wanted to put that statement out there, and then obviously I would love to talk about Maryland and our practice today,” he said on Wednesday. But realistically, what head coach would admit that they’re looking at other jobs, before their regular season ends and their team plays in a bowl game? Such a thing would be a morale killer, and it just doesn’t happen. And while Franklin isn’t in danger of being fired right now, it’s hard to deny that USC would be a step up and that few coaches who would be offered the job now will have the chance to make a move to Southern Cal later in their careers. The fact of the matter is that USC would be a decent fit for Franklin and that it’s a very tempting job for almost any coach. Will a move definitely be made? No. But is it out of the realm of possibility yet just because Franklin has made a public statement favoring Penn State? Not at all. It’s not the first time that a similar situation has happened, after all. Just take a look at the words of former Vanderbilt player Adam Butler, from back in 2014. How Has The Trade Of Damon Harrison Affected The New York Giants?